If you are a foreigner and looking for full time or part time job in Japan — no matter even if you are staying in Japan for a while; NepSort’s Japan Guide will guide you a proper way to find job in Japan. As a foreigner, there are many difficulties you might have faced to seek a job of your kind in Japan. At first language problem is the most that we have seen in many foreigners, cultural shock and new rules and regulation in foreign land added more ups to get the better job as your desire in Japan. For the newbie, there might be the problem of where to start and for those who are staying for a while and finding the job of your kind is difficult. In this session, we are going to address these two topics here today. Before getting started on the solution, you should know what the possible ways are to find a job in Japan. Below mention four steps are the strategic and proper way that you can find job in Japan as a foreigner. Honestly speaking, the most effective way to find job in Japan is from the connection through your friends. If you are a newbie or even if you are working for a while, don’t hesitate to connect with you known friends from your country who are staying in Japan. Especially, those who have a good reputation in work can easily refer you to the Job. Having a referral from your friend’s means, you have higher chances of getting a job. Usually, Japanese people trust the people who are very good and obedient at work since professional ethics is always in top priority for many Japanese. Social media: especially Facebook, Instagram, WhatsApp are the major tools that you can use to connect with your friends. If you dig a little bit deeper, you can find many Facebook Groups of your country but live in Japan. For an example if you are from India and want to find the people living in Japan, simply search “Indians in Japan” on Facebook, you will find the hands full of the result. Before joining a group, it is the best idea to find the active group. To find the active group, you might just simply look at the number of members in the group. If the numbers of members are high, it is more likely to be active. And it is a truth that if you are in foreign land, obviously the people from your country are more likely to cooperate for finding a job. There are many online portals through which you can approach to find job in Japan. The recent statistics show that 7 out of 10 people find job in Japan through online job search engines. But the truth is never expecting to get a reply from all places. So, it is better to apply as many places as you find and those who are interested to hire you will respond you back. Getting the information about the job vacancy on time is the most crucial aspect to find job in Japan. Thus, set up email alerts to get the vacancy information as soon as they published on portals. 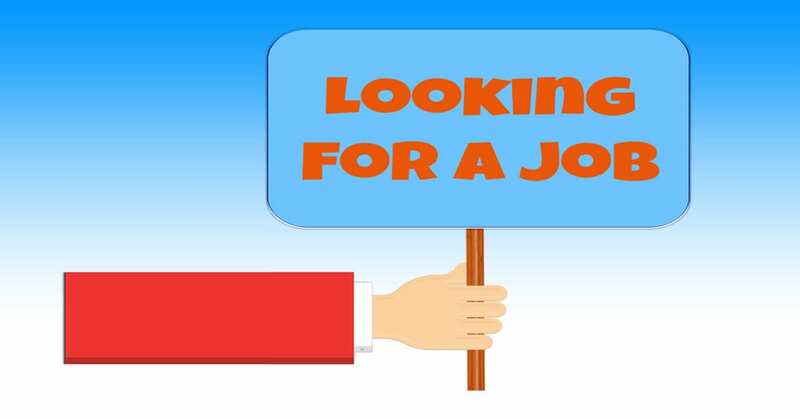 Below are some online portals through which you can approach to find job in Japan. Honestly speaking, if you are not trying to relocate for your job, finding the job through Newspaper is always the best idea in Japan. Many employers publish vacancy information through the local Newspaper and Magazine. So first, go on through the local newspaper or magazine in your location. Besides that, in other English language newspaper, you can find the separate section of a vacancy in your location. Since people give more priority to the location to get the job, newspaper and magazine are always the best ideas to hunt a job in Japan. Town work magazine is one of the best options through which you can find a job as you want. It’s a free magazine that you can get anywhere in Japan: in conbini (convenience store), at the station, etc. There are two types of Town work magazine. The one with yellow cover is for those who are looking for a part-time job (アルバイト). The one with a blue cover is for those who are looking for a job in a company (社員). Japan Times, Daily Yomiuri, Daily Mainichi and Asahi Evening News, Metropolis Newspaper are some newspaper that you can try to find job in Japan. There are numbers of employment and recruiting agencies in Japan. If you tried all the above-mentioned steps to find the job that you are seeking and still cannot get the one, you can contact the employment or recruiting agencies. Recruiting agencies are the best option for those who are looking job in the very specific field. However, we do not suggest you go with this option if you have other ways to get the job in Japan. Means, this would be you less priority option to find job in Japan. If you are native English speaker or if you are fluent in English, Teaching English will be also one of the best options to get quick and easiest job in Japan. These are some systemic way to find job in Japan as a foreigner. We suggest you not to hesitate to every kind of job which you will feel good to work. Keep on trying one after another, you will find the job of your kind very soon. If you can think of any other resource that should include in this post, don’t hesitate to contact us and we will update it. For all other information regarding Japan, you can visit NepSort’s Japan Guide where you can find hundreds of topics that you should know if you are in Japan as a foreigner.